Greenwood, ME – The mountain operations team at Mt. 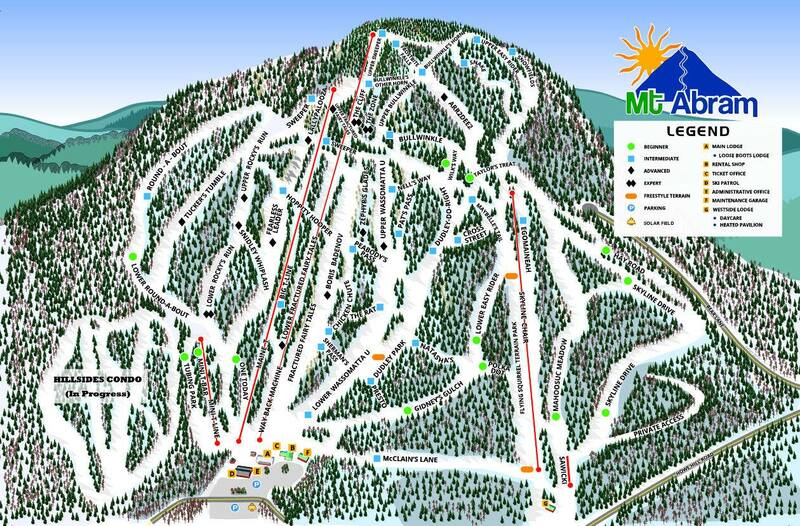 Abram has been working on a large trail expansion project to add six new ski runs to the western Maine ski resort. Crews are also installing water pipes spanning the new trail areas, to increase snowmaking operations by 35%. In 2013, Mt. Abram invested in a solar-power project that provides 75% of the electricity required to operate the entire resort. In addition to this “green initiative,” the mountain utilizes new airless snowmaking technology to improve efficiency and quality while creating snow throughout the entire mountain this winter. 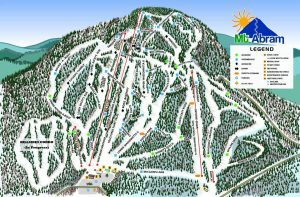 “I’m incredibly excited to be able to continue to focus on creating the best possible skiing and riding experience through expansion of our snowmaking coverage, with our state of the art airless system, focused on energy efficiency and quality of product,” explains Dave Scanlan, General Manager of Mt. Abram. Mt. 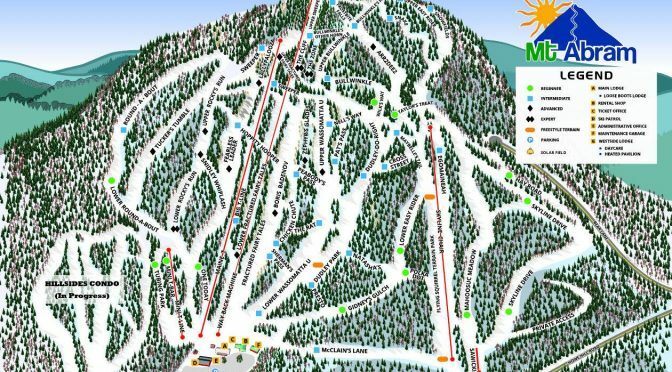 Abram plans to expand the network of trails throughout the coming seasons to create a better variety of beginner, intermediate and freestyle terrain. The six new runs set to debut this winter were logged in 2015 in varying locations around the mountain. A new race trail named Wassomatta U has been located between Boris Badenov and Dudley Do Right. Two additional expert trails have been cleared, Tucker’s Tumble off Rocky’s Run and Arr2Dee2, which descends from the summit towards the top terminal of the Skyline chair. Additional clearing has created space for the Flying Squirrel Terrain Park on the Westside and Dudley Park on the Main Mountain, as well as a connector trail called Cross Street. Opening day for the 2016-17 winter season at Mt. Abram is tentatively scheduled for Friday, November 25th, with the mountain’s Boris and Sweeper trails open on the main mountain and Lower Round About and the Mini T open for beginners and intermediates.